After you’ve found the new Kia or used car, truck or suv from Kia of Dayton, the next step is figuring out how your going to pay for it. We know it can be tough to find a decent auto loan to work with certain budgets, so we make it easier by finding you the best possible rates on a car loan in the Huber Heights area. Over the years, we have built strong relationships with some of the nation’s top lenders so we can offer you affordable monthly payments and the lowest interest rates your credit allows. We continue to be a preferred source for the best auto rates on a new Kia or used car for drivers of the Huber Heights area. 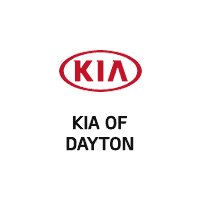 At Kia of Dayton, our financing process is easy, transparent, and stress-free. Our experts will stay with you through the entire car-buying process and will customize a payment plan for your unique situation. Get started today by completing our secure and quick credit application to the left and obtain an outline of your available credit options. Have questions? Contact our Kia showroom by phone, or feel free to visit our dealership to discuss your options. We are located at 8560 Old Troy Pike, Huber Heights, OH, 45424.